By Bizodisha Bureau, Bhubaneswar, April 15, 2019: Odisha government is mulling over the idea to take back the unused land allotted to the IT major Wipro’s Bhubaneswar project, which has not just taken off in the last decade. Incidentally, Wipro is one of the earliest movers in Odisha’s IT growth, but it has lagged behind its peers such as Tata Consultancy Services (TCS) and Infosys in scaling up. The company’s failure to keep to its avowed commitments to expand its Bhubaneswar centre has drawn the wrath of the state government. “We had leased out Wipro 26 acres land at Infocity, a sprawling IT park in the city. Now wince the company has not scaled up, we have no option but to reclaim the unused land. The state government will review the matter and take a final call as the company has repeatedly failed to honour its promise,” said a government official privy to the development. 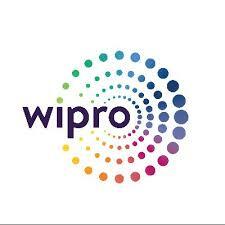 In 2005, the state government had allotted Wipro 26 acres on which construction started in 2007. The software development center was up and running on September 24, 2012. Wipro has used some 40 per cent of allotted land and its centre is run by 600 people. In fact, the state government in 2015 in a stern missive sounded a caveat to take back the unused land. In a conciliatory response, Wipro had then spelt out a massive expansion at its Bhubaneswar centre, creating a facility to accommodate 28,000 employees. The company, though, was mute on timelines to accomplish its scale up.